At the beginning of "Life and Earth" I mentioned how useful analogies can be to understanding the world around us, especially analogies related to Nature and science. Consider the image to the right of a human body. Evolution has brought us to an incredible state where the human body can endure, regenerate, and survive for a hundred years. The human body is an incredible creation and I also consider it to be one of the most amazing cooperative examples. 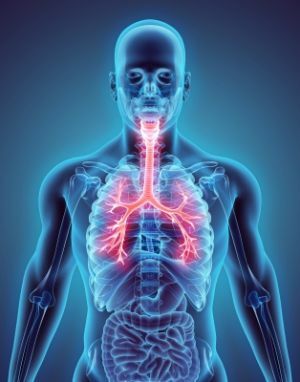 It is a combination of organs orchestrated in such a way that they work together in harmony in order to ensure the survival of the entire body. By themselves the organs would die in a moment but when operating together they allow the whole to adapt, survive, and endure. The human body, that which you are, can move to any location on the Earth and adapt to weather changes and natural disasters. It can even carry on its best qualities in its genes and reproduce itself in order to ensure the longevity of the species. Now imagine that the human body represents Earth, and all the organs inside such as the brain, lungs, heart, intestines, kidneys, skeleton, and skin, each represent countries of the world. Can you imagine a world where the countries could operate in harmony with Earth in the same way that the organs operate in harmony with the human body. Imagine the lungs as the U.S.A., the heart as Russia, and the blood as China. Imagine all countries working together in order to create an amazing organism where they cooperate to explore space, heal and compensate each other, and exhibit a synergistic strength between them that ensures the survival of Life and Earth. Now imagine one country such as the kidneys beginning to compete with the other organs. The kidneys try to expand their space putting pressure on the other organs. They start to malfunction and do not support the system and allow the blood to get contaminated which then infects the entire body. The body no longer operates in harmony and its survival is threatened. Might this be not so different than one country trying to expand its territory beyond its own borders or impressing its beliefs on other countries? Might this be similar to two countries pointing nuclear arms at each other creating the risk of an accident or the possibility of conflict between each other that might spread to other countries of the Earth? The countries of the world clearly do not exhibit this image of harmony and cooperation found in the human body. Why is it that many countries and cultures continue to exhibit significant conflicts between each other, as might the organs in a human body when they do not perform their function to ensure the survival of the entire human body? How is it that we cannot seem to work together or cooperate? The answer is that the components of the body have no individual needs of their own, hence they can focus on the welfare of the entire body. On the contrary, countries and cultures have their own sets of values, beliefs, and self centred needs to satisfy which are often put before the welfare of the whole. They are patriotic and have a sense of ownership about their beliefs or regions that they want to reinforce. Basically, countries and cultures have needs that are not in the interest of the world, hence conflicts can ensue between them. The human body is truly an example of a cooperative system which has come together to survive and endure. If countries could work together in the same way one can only imagine what we could do. While knowing all this, how is it that at this moment countries are pointing nuclear weapons at each other potentially capable of destroying all that we know and value? Have we become so absorbed in our own interests that we have lost touch with the welfare of all that we are a part of? How is it that the answer might seem so obvious, yet we are so distant from what would seem our best route to survival for Life and Earth? I think the biggest clue to answering why countries do not cooperate is simply that, if countries were faced with a problem that was big enough that required them to cooperate, they would. If the world were faced with some threat that we all shared requiring our combined resources, we would act together. One of the best examples that I can think of is that, if an asteroid were heading to the planet requiring the resources of all countries, we would quickly forget our differences and combine our efforts to deal with the problem. After all, no matter how significant the interests may be of any country, those interests become irrelevant if there is no planet. So this is our clue to why we do not work together. If the aforementioned is true then whether countries choose to work together would seem to be dependent on the magnitude of the threats we face. Are the side effects of our technologies likely to create life and planet impacting situations where countries must collaborate and combine their resources in order to survive? Let's look at a few examples. Can we expect that climate change will be world impacting enough such that we need to work together to resolve it? Will we develop nuclear weapons that are so planet impacting that they come to represent a threat to all Life and Earth? Is it possible that we will develop viruses that when unleashed they could destroy all Life? Will we face other global threats from our technologies that we may not have considered? To me these these sound like very real concerns, in which case countries must cooperate and combine their resources in order to survive. In all our history such possibilities may not have existed but given the rate at which we are moving forward with our technologies, would it not seem to be the case that countries should change their ways and learn to cooperate now in order to endure? I expect there is a very high probability of such scenarios occurring, hence it is critical that we learn to manage our technologies through cooperation, much as the organs in the human body work together in the example above. It would be a big change for the countries of the planet but cooperation may be much more important now versus our historic behaviour of competing over economic interests and engaging in conflicts over our belief systems. Avoiding world impacting side effects of our technologies is a big reason for countries to cooperate instead of compete, but their cooperation will also allow us to move forward into the future more efficiently. For example, in our quest to explore space, possibly to colonize another planet, is this a project where countries such as China, Russia, the U.S.A. and so on should compete to get there first? Would it instead be more efficient for these countries to combine their scientific knowledge, economic resources, and time through a cooperative effort and colonize it together? 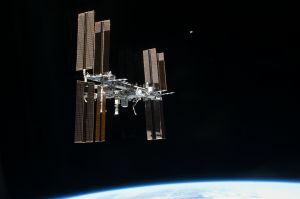 I suggest that the latter is probably the case, possibly not so different than the cooperative effort that has been shown by different countries contributing to the space station (image shown). Overall it seems that in the least, we all must question how countries choose to move forward into the future. We must not wait for the side effects of our technologies to be so world impacting that they force us to work together. We must not wait for such things as climate change that may be created by human activity to require us to work together. We must not wait for nuclear weapons to be so world impacting that they can do significant damage to Life and the planet. We must change now, because there will be many other world impacting problems that are likely to come our way that we will not be prepared for. One example that comes to mind are the possible side effects of artificial intelligence if it is not explored carefully. We must recognize that our economic interests and diverse beliefs systems do prevent us from working together. Countries must learn to cooperate in order to deal with the threats from the technological side effects that will lie ahead in the future. They must work together to recognize such threats and deal with them promptly, just as if they existed today. I hope you will continue now and read the next section called "How Another Planet Survived". It is basically a summary of the ideas proposed in this book. It includes some specific suggestions that might be included in the creation of a global Universal Philosophy. This is a philosophy that the countries of the world might learn to live by in order to deal with the technological problems we may face now, and the ones that we may to face in the not to distant future.